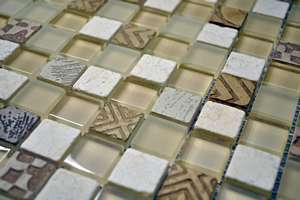 The Glass Mosaica Civili Atlantis tile will give your home a new level of luxury. This refined mosaic tile features multiple glass and stone mosaics in varying patterns to provide an exotic look. Its looks will do well to complement a whole range of home décor and furnishings. The Glass Mosaica Civili Atlantis mosaic tile is available in a standard size of 300x300mm and is sold per piece. It is ideal for use in decorative walls or for creating borders. This is a top-quality product that has been manufactured to the best of standards. 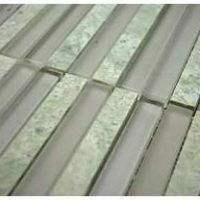 It is designed for easy installation with minimum grouting, which offers a modern and neat finish and has been built to withstand the test of time. It won’t lose its good looks even after many years of usage. The Glass Mosaica Civili Atlantis offers exceptional value for money which you cannot expect from other similarly priced mosaic tiles. 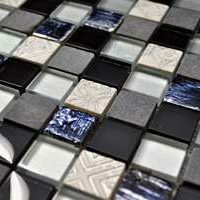 So, for a sophisticated mosaic tile in Perth, consider the Glass Mosaica Civili Atlantis tile. 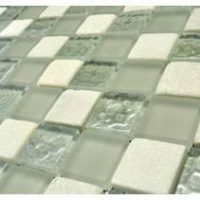 Buy this mosaic tile at the lowest price from our online store today!